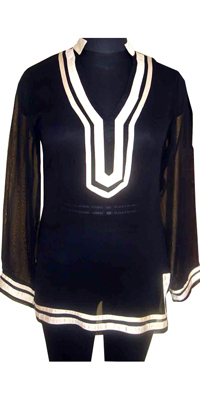 This dress is black in color with white satin band at the neckline, ends of the sleeves and also the hems. 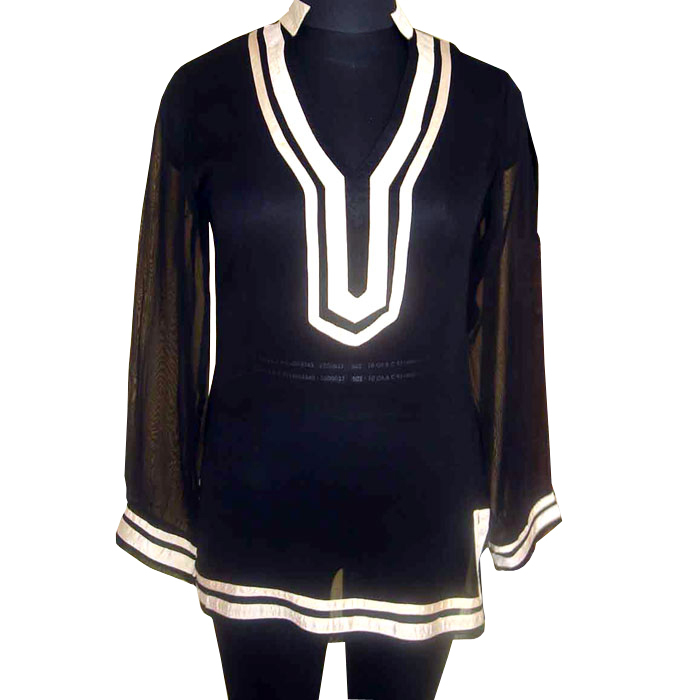 This top also has a collar which is also white in color. The white looks very shiny because of the shiny material.